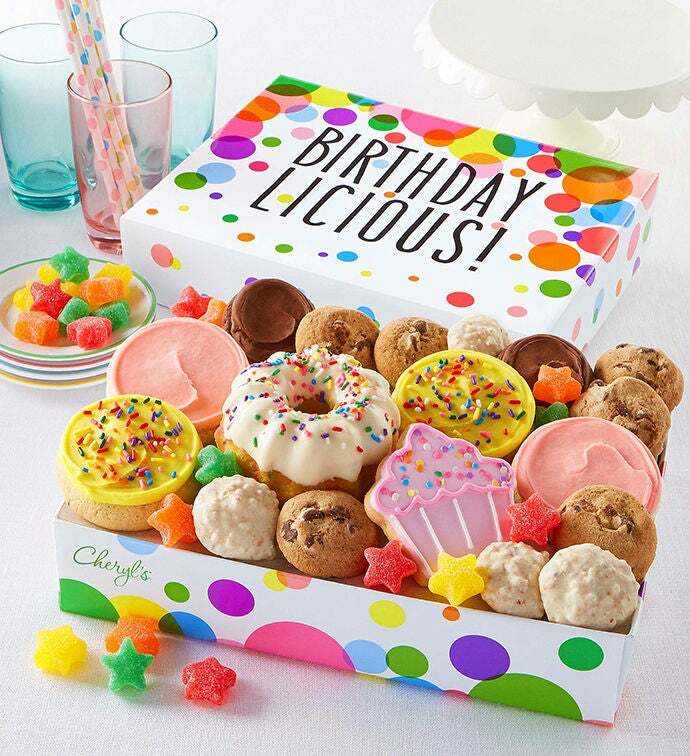 A lot of birthday fun is included in this awesome party box! Your birthday friends will enjoy buttercream frosted birthday cake cookies and our frosted strawberry sugar cookies, our snack size chocolate chip crunchy cookies and buttercream frosted chocolate cookies, a mini birthday cake, gummy stars, sweet and salty pretzel clusters and a hand decorated crunchy sugar cookie shaped like a cupcake. 24 pieces.